Android O is the latest mobile OS from Google and I am sure you all are aware of the news that its going to be launched soon. It is currently available to developers only and will be made available for public this summer. We can expect some really enhanced features in Android O that will change the way we use our Android phones. We are sure you must be eagerly waiting to try your hands on new Android OS. Don’t worry, we got it covered and soon will be coming with how to download Android O on your phone now. Stay tuned. Before that, how about checking all the new Android O features that you will be getting once the final OS version is launched. 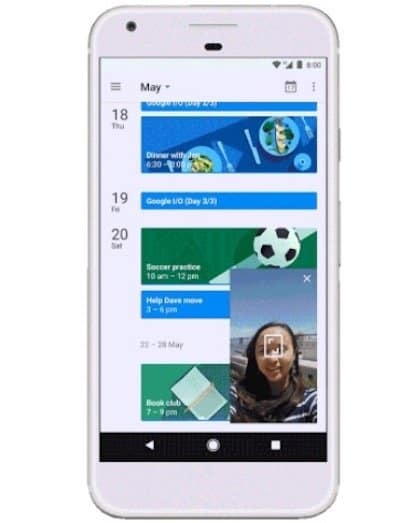 Google promised that it will be available for public in Quarter 3 of this year means somewhere around September. So, without further adieu, how about checking new Android O features that are expected to bring change in the user experience by offering more and more cool options for the users to enjoy the ease of operating their mobile phones and tablets. Check out some of the below listed new features in Android O. In new battery settings, viewing app’s stats will let you know how much battery was due to active use or when the app was in the background. With Android O app security goes easy. You will have to go to the Settings app under Security to check when you last scanned the apps and how often they are scanned. If you are thinking of me going insane about bringing up the old story, let me tell you that this autofill password feature will be included in Android O for apps. There are password managing apps like 1Password that will include an option to support autofill within apps. Emojis are super cool and with more latest ones made available, chatting with our family and friends has become all the more fun. 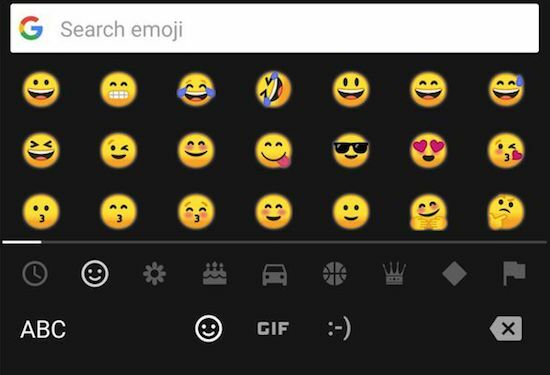 You can expect more new cartoonish emojis in Android O. Indeed a wonderful addition to the existing OS. 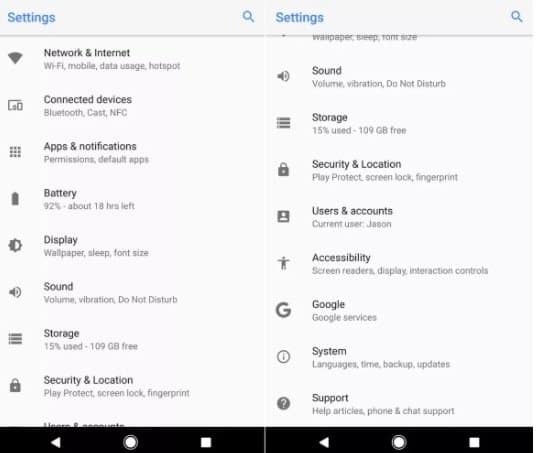 In Android O, users will be able to adjust the intensity of the blue light filter when using Android’s Night Light mode. We all know that persistent notifications are a part of Android. However, in Android O, users will get to see the persistent notifications in a smaller size so that they become less prominent and hence less annoying. Users will have to tap to see the entire notification if they want to see more of it. It is anticipated that the way you use shortcuts is going to change. The look of shortcuts is made more user-friendly letting the users access an app’s widgets from the shortcut menu. Picture within a picture is an amazing way to continue a video call or watching videos on YouTube in the middle of some browsing session or anything. You just got to tap the home button when the video is playing and leave the rest on Android O. Yes, you heard that right, in Android O, users will be able to change the shape of icons of the apps they have in their cell phone. But, we are not sure it will be available to all the phones are only limited to Google Pixel smartphones. If you are the one who liked the notification badges that appeared in iOS and wanted the feature on your Android phone, then Android O is here to leave you all pleased by introducing the feature. Notification Dots will appear on an app icon when you have a pending alert. While on the other hand, you are the one who hates the idea can disable the notification dots. In Android O, you will be able to select the text without fiddling around. Android O will find addresses, phone numbers, email ids or urls on its own. 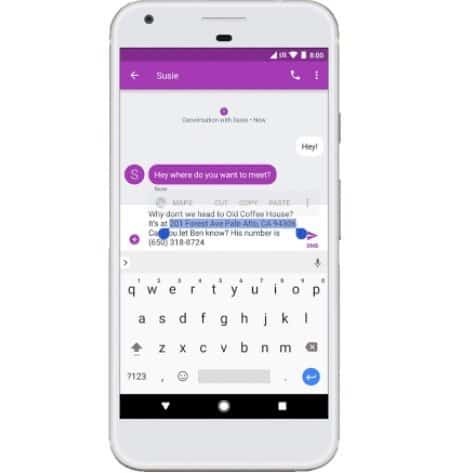 You will have to double-tap the text to highlight what you need to copy or use the app shortcut next to the Copy button to send across the message. Like in Galaxy S8, Android O users will now be able to enjoy wide-gamut color capable display to give you a perfect visual treat while you use your apps. 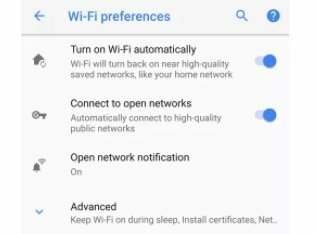 With Android O, you will not have to remember to turn back the WiFi on when you are in a safe WiFi network like your home or office. Infact, it will offer the option to have Wi-Fi turn back on when you are near a known, safe Wi-Fi network. 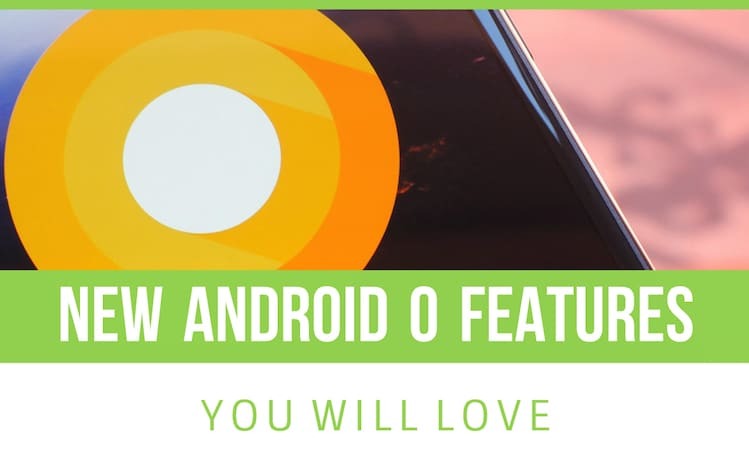 These are some of the best Android O features which we particularly liked and It is anticipated that there will be oodles of other features in new Android O for the users to enjoy the change in the way they use their smartphones and tablets. If you have heard other features in Android O, then you are most welcome to post the same in the comments section provided below.